Need a new wardrobe? Got money to burn but don't know what to buy? Then head to Forever 21 and get dibs on their new #F21StyleInsider service. Not only do you get your very own personal stylist + shopper, you also get 10% off on a single minimum receipt purchase worth P5,000! As told to us during the launch last May 11, 2016 at SM Makati, the process begins with a personalized consultation. After which these girls will create a "Style Prescription" outlining the customer's body type and flattering fits and cuts for their shape. You sit back while they scour the store to curate perfect pieces for you. While you're there, also make it a point to ask the ladies about #F21SummerDaze. Their 2016 summer collection inspired by my favorite decade...the 90s! expect lots of versatile knits that can be dressed up or down, tattoo chokers, acid wash and overalls! How to avail? 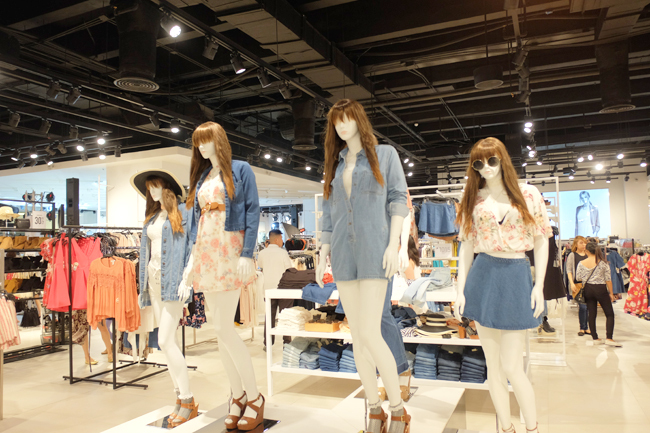 Just visit any F21 boutique near you. For more, just follow the hashtags.